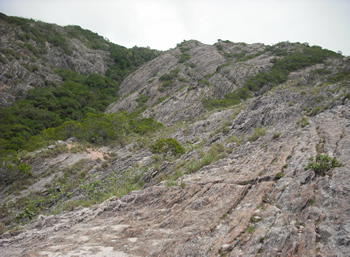 Jathika Na Mal Uyana is the largest Na (Ceylon Iirn Wood Tree) forest and pink quartz mountain in Asia. 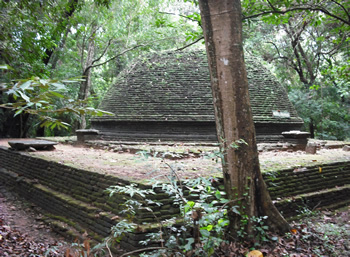 This unique place is situated 7kms from Madatugama junction of Colombo - Anuradhapura highway. 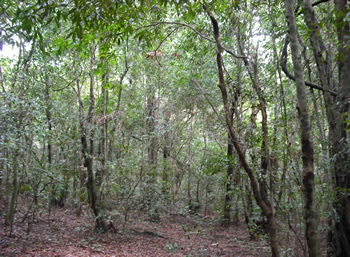 towards the road leading to Adiyagala at Galkiriyagama in Sri Lanka. The Namal Uyana which is spectacular and attractive with its exceptional natural depths has a history of more than one thousand years. According to archeological researchers findings, the pink quartz in this historical place has a history of more than 550 millions of years. This place is oriented with a variety of important values, such as, historical, geographical, artistic and blessed with abundant natural resources. 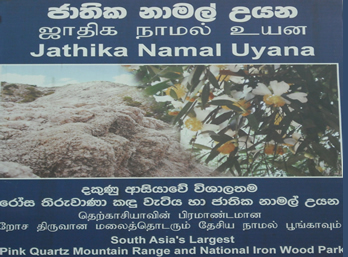 Jathika Namal Uyana revealed 15 years ago, which has become the first Na Forest is the most popular sacred place among the people in Sri Lanka which has a great history during the era of king Devanampiyathissa in Anuradhapura. 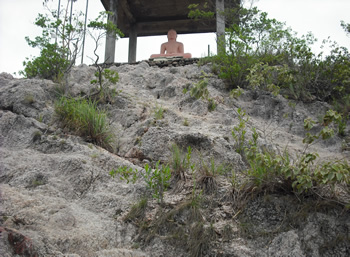 Ancient statues added with historical values are near by Jathika Namal Uyana pink quartz mountain. Ruins of buildings, Bodhigara, Stupas, inscriptions further can be seen here. 60acres of forest has been apportioned as an ancient area. 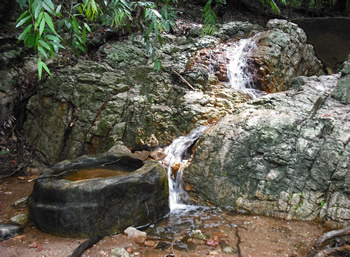 There are 3 water falls deriving from these mountains and their flow stretches all over the Namal Uyana Forest. This water is enriched with minerals and contains ayurvedic medicinal values and the village people around and people from far away land believes that drinking this water will cure their diseases and give you physical perfection along with the mental satisfaction which you enjoy from the natural environment in this wonder land.